Microsoft this week announced three new smartphones (Lumia 950, 950 XL, and 550), a tablet (Surface Pro 4), and an ultrabook (Surface Book) - all part of the company's Windows 10 portfolio. Unfortunately, the new devices are not yet available to buy, although you can pre-order a couple of them (not the smartphones, though). Until Microsoft's new Windows 10 devices hit the market, you can actually test most of them if you're in North America. According to WindowsCentral, Microsoft stores across the US and Canada have demo units of the Lumia 950, 950 XL, Surface Pro 4, and Surface Book ready to be checked out by interested customers. As a reminder, the Surface Pro 4 and Surface Book will be released on October 26 for prices starting at $899 and $1,499, respectively. 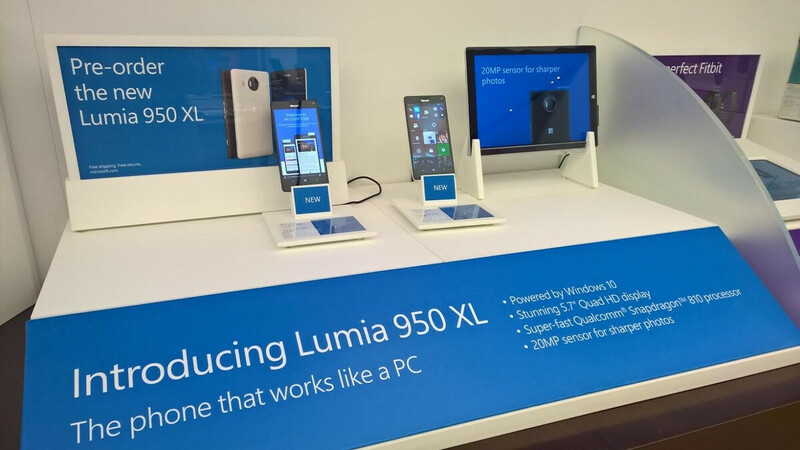 The Lumia 950 and Lumia 950 XL are expected to start shipping sometime in November for $549 and $649, respectively. 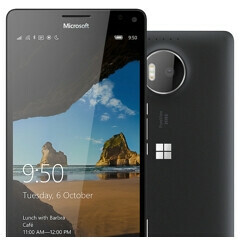 AT&T already confirmed that it would carry the Lumia 950 in the US, but there's no word if any of the new handsets will be available via Canadian carriers. Do you plan to buy any of Microsoft's new Windows 10 devices? i want one because of camera.......!!! Might stop in at one tonight! Please come to Verizon. I really want to buy the 950XL and will switch carriers if I have to. Will drop by Microsoft Store in Century City to check out the Lumia 950 XL. no store has it in LA. If I could find confirmation with w10 can run Android apps like was rumored, I'd buy the hell out of a 950. I just called my local Microsoft kiosk store and they indeed have all the goodies. I will be there on Saturday with my camera to get pictures and get hands on time with the devices. Can't wait. Intel doesn't have anything lights out yet. The zenfone 2 and Nexus Player aren't as good apparently. Once Intel trashes ARM and they probably will, MS should be the first in line.